What’s the Best Website Design for an IT Company? How Do I Market It? As an IT business owner, you are aware that the digital market is exploding with opportunity right now – especially for service businesses. With this in mind, you’ve decided to build a website. But, what’s the best website design for an IT company? Does marketing a service-based business website differ from other types of businesses? You’re asking the right kinds of questions! Let’s start with your website, then move to marketing. 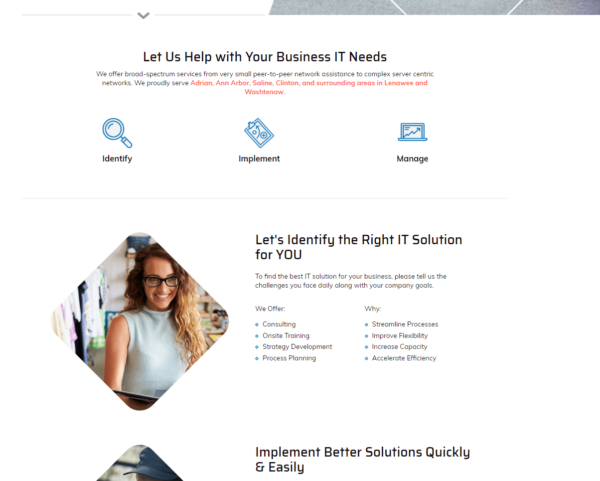 What’s the Best Website Design for My IT Company? A local IT company is unique. It’s a service-based business, usually small-to-mid-size, with an emphasis on the communities in its service area. Most important to you, as an IT business owner, is getting found by the right people online. That’s where we start when designing a website for an IT company: who is looking for you online, and how will they find you? That’s where we start when designing a website for an IT company: who is looking for you online, and how will they find you? 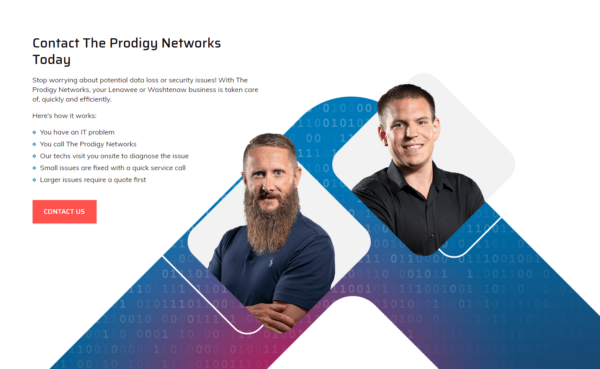 Homepage of The Prodigy Networks, an IT company from Michigan. Your first step is to get to know your customers as well as possible. That means you have to figure out what type of person needs your IT services. If you sell services to businesses, you’re a b2b service provider. As such, it’s likely you’ll offer your services to a range of businesses. List out the types of businesses you currently work with or are able to service. Think about the person you routinely contact or communicate with on your b2b IT projects. Is it the business owner? An internal IT tech? It’s vital to determine the person within the company who needs your services. This is the person who is likely to find your IT company online. Figure out what this person needs from your business. How would she refer to the services she needs? In other words, if this person were to use Google to search for IT companies, what terms would she type? These are the terms – the keywords – you want to target. Think it through: if Linda from Schmakel Dentistry needs help to support her network, she’ll type in something like, “IT Tech Support” or “IT Service Company” – that means you need a webpage dedicated to that key term. If you create this dedicated page that targets this keyword, you have a much greater chance of getting your business to the top of Google than if you don’t. Define your service area. Many service businesses are either local or regional. If local, your business targets a smaller area than if you are a regional business. Regional businesses offer a greater challenge, as they must target a broader, more diverse area. Before you build your IT company website, figure out how you will get found online. How will your customers get to your website? It isn’t enough to build a website and launch it online. You need to define a strategy for bringing people to your website. It’s best to define this strategy before you build your website. There are several ways to bring in local customers to your website. You need to determine which ways you will employ on your website and in your marketing campaign. Using e-mail to drive customers to your website is an excellent idea. E-mail is very effective at bringing in new and returning traffic. Most of your customers use a social media platform. That means you need to identify the platforms your customers use most so that you can communicate with them. One of the most important things you can do to get found is to build links. It’s vital to build links, because Google uses links to rank websites in its search results. The better quality and overall quantity of links built to your website, the better. Now that we have all the research out of the way, you’re ready to start to plan your website project. The pages above are the most basic pages you must include on your website. These pages are what customers want. There is proof of this, too, in multiple website usability studies. The following information is from KoMarketing‘s 2015 usability study. 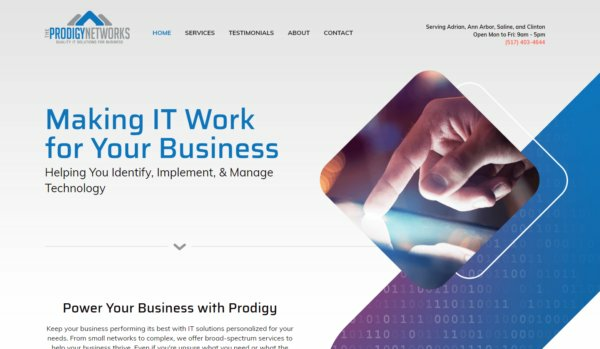 The Services page on an IT company’s website. What “must have” information do you want to see on the Products and Services page? 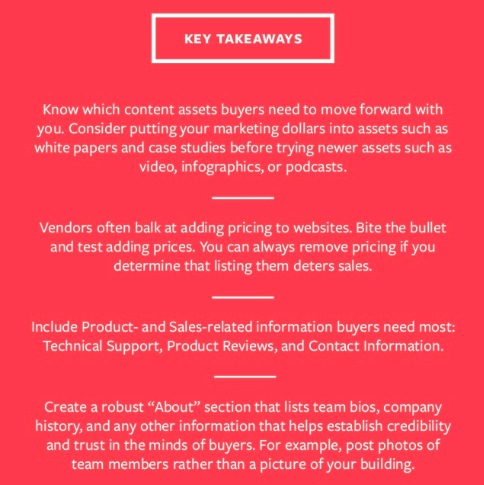 Key Takeaways from KoMarketing Usability Study. Your design can make or break the effectiveness of your website. A professionally designed website boosts your IT company’s credibility. 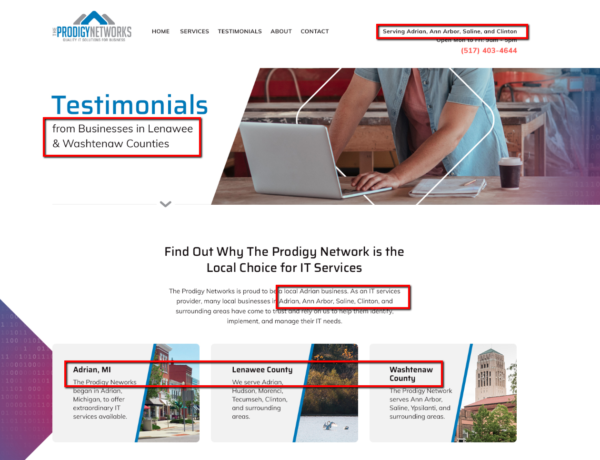 In fact, Adobe found that 75% of user judgment about your business’s credibility is based on your website’s design. Photography will make or break your IT company’s web design, believe us. Professional photography takes your website from average to seriously stunning. If you can’t afford a complete round of professional photography, at least invest in profile photos of you and your team. Stock photography has a (limited) place in IT website design. If, for some reason, you need to include stock photos on your website, ensure that they are professionally shot. You do not want to use amateur photography anywhere on your website, unless it’s a casual, authentic photo that represents your actual team. We suggest you save amateur photography for social media. You’ll require each of these elements to be successful online. Again, start with your customers. Find out who they are and what they want. Figure out where they spend their time online (do they use Google? Social media?). There are a lot of no-cost websites online, and you’ve probably already check out a few of them. 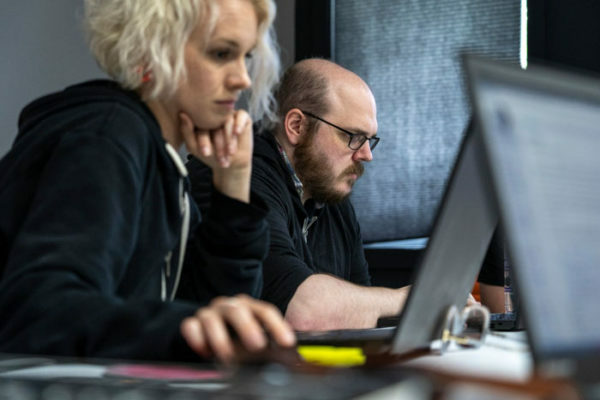 But to really connect to your customers, build a strong brand, and boost sales, you may want to consider a custom website design. The other element you need is professional development for your website and ongoing support. This is a truly vital element that many IT companies overlook. The performance of your website is tied to its effectiveness as a marketing tool. If your website is slow to load, if images don’t load, or you have broken links on your site, your visitors will leave. Having a support system in place is also necessary for any professional company website. No matter how technically gifted you are, websites are different from IT. 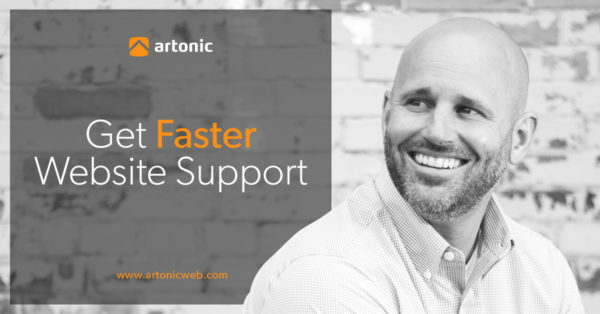 At Artonic we love working with IT companies, because most IT business owners understand a lot of the technical elements of web design. However, a support team is there to support you – no matter what time of the day or night. If you have a task that needs to be handled quickly, you can call them. It also saves you a lot of time, so you can focus on running your business instead of working on your website’s performance. Showcase authentic images of your team, your building, and your customers. Get photos of your team performing the services you offer. Your customers want to view these types of images. Professional photography helps you to connect with your customers, build trust, and boost credibility. Real photos of your team increase credibility. Frequently overlooked, ignored, and even shunned, website content is the heart and soul of your IT company’s website. Nurtures and converts sales leads. Pay attention to the information you make available on your website. Is it what your customers want? If not, it’s simple enough to update it. As noted earlier, your strategy to bring traffic to your site must be considered before you design your website. This way, your marketing plan can be built into your website. Build pages to target highly competitive keywords. Collect e-mail addresses to build a contact list you can market to through e-mail. Include “social share” links – so customers can share your content easily on social media. Write for your blog on a regular basis. We’ve compiled several case studies on many of our clients who own service-based businesses. Our goal is to show you how to successfully market your service business. Below is a case study for one of our longest clients, Doctor Flue, inc. 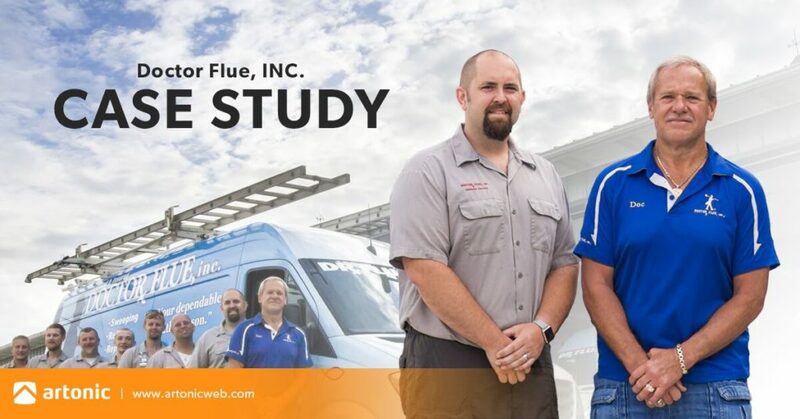 Check out the case study to find out how Doctor Flue, inc. grows its business. If you’d like to view additional case studies, please view our client stories.